Two bits of news, kids. My "Ties That Bind" column at PopMatters will return in March. I took a hiatus last summer in order to focus on some book-length projects: finishing my novel The Day and getting it out to agents, getting further ahead on my book about The 'Nam and my book of music criticism (described below). I'm excited that "Ties That Bind" will once again be a monthly column. Thanks to the PopMatters editors who graciously welcomed me back. Also, I'll have a long essay at The Comics Journal sometime in March. 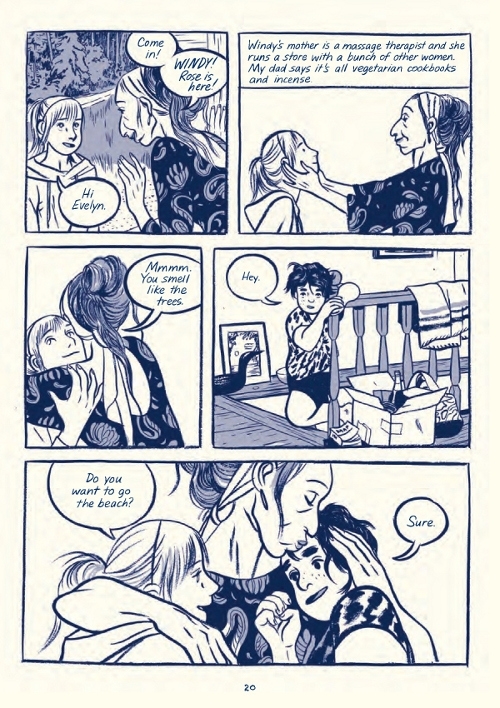 It examines this concept of "profluent lingering" which I've written about before, but this time tackles poem comics, specifically two works by the extremely talented Bianca Stone. More on that when it's out. Posted on February 27, 2015 by Robert Loss and filed under Comics Studies, Music Criticism, News and tagged News music criticism comics studies The Comics Journal PopMatters Bianca Stone. I had the great pleasure to be part of the International Comic Art Forum where all of these superb artists and scholars convened for three days of intense discussion about comics at (The) Ohio State University. It's one of those incredibly rare opportunities to hear Phoebe Gloeckner, Dash Shaw, Carol Tyler, Justin Green, Hanneriina Moisseinen, Jeff Smith, Nate Powell and Congressman John Lewis rivet audiences just after hearing academic talks on Rube Goldberg, the Hernandez Brothers, Y the Last Man, and comics about the Rwandan genocide. It was also a chance for me to catch up with some friends, make some new acquaintances, and be a small part of what might be a defining moment in the comics studies field's development: the founding of the Comics Studies Society, the first of its kind in America. What follows are thoughts on the event as best as I can remember them based on my shaky memory and notes scribbled in handwriting which my students have described as "archaic" and "Paleolithic." (Okay, not that last one.) My recollections shouldn't be taken as more than recollections. If you want to follow an online thread about the week's events, search Twitter for #ICAF14. And let's just say, right off the bat, that The Billy Ireland Cartoon Library and Museum was a generous host, and we owe that institution much thanks, as well as the indefatigable Jared Gardner and Bill Kartalopoulos, who held the weekend together as emcees. Any pictures below were taken by Jared unless otherwise noted. You can visit his Flikr album here. Posted on November 22, 2014 by Robert Loss and filed under Comics Studies and tagged ICAF comics comics studies. The mighty John Cleese on creativity. I had no idea he'd done this kind of research into the psychology of creativity. Sent to me by one of my students at CCAD. No matter how far along you are in a creative life, there's probably a check-up or two in here. Posted on September 1, 2014 by Robert Loss and filed under Comics Studies, Fiction, Music Criticism and tagged creativity.